Seriously, now, who doesn’t love Graze? 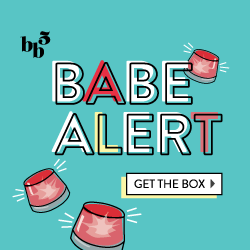 They’re just so quick, easy and customizable that they just made a top spot on My Favorite Subscription Box List! This cute little brown box gets delivered as often as you’d like (1x week, 1x month, etc) and so i get one delivered to my house and another to K’s. We usually tend to devour them in a night.. woops. Here’s the first look at this month’s box! I was really excited because due to the hot weather and summer season, a lot of chocolate mixes were blocked off, and only came back around October. Then, on top of that, they added NEW mixes! I couldn’t wait to tear into them. My favorite was the HoneyComb Crunch, because it’s the type of item I often gravitate toward: dried fruit, chocolate and nuts! I would say my least favorite was the Habas Tapas, as it would have been better if it had pretzels or nuts of some sort. My box codes are all used up, however I have one remaining from K’s subscription! Use KEVINH1QP at checkout to cut the line and get your first and fifth box free! Sign up here. I had the honeycomb crunch recently, and it is seriously so good. I love the flapjacks in general and the summer berry ones sound delicious! They’re addictive! And I love getting new mixes each month.